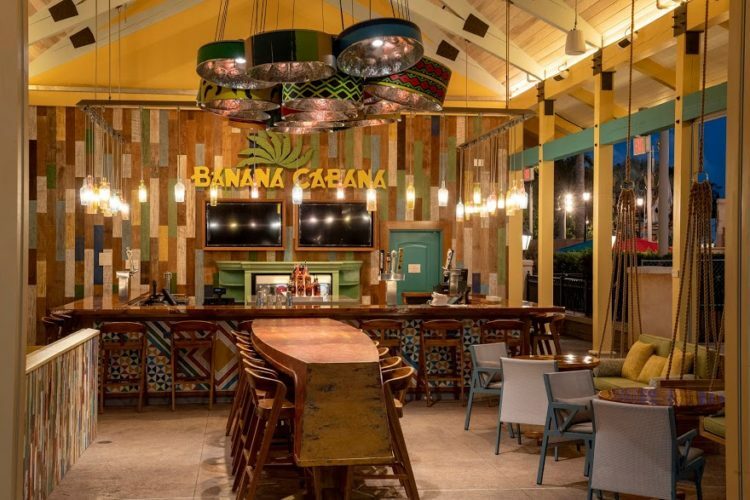 Disney’s Caribbean Beach Resort is a place to relax in comfort as life slows to a leisurely pace amid lush surroundings and the sound of steel drums drifting through the air. Now with a new port of entry and lobby to explore and enjoy, as well as three new food and beverage locations, the resort offers more ways than ever before for guests to embrace the island spirit of the Caribbean. 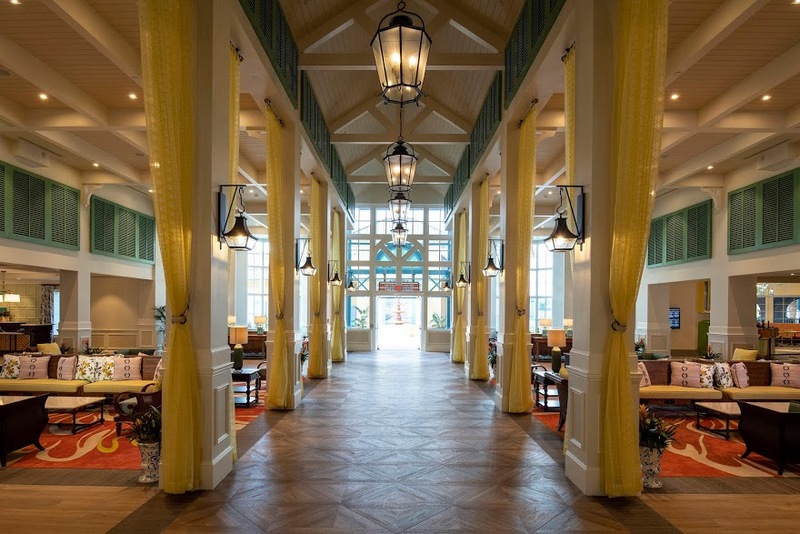 The Old Port Royale complex has been reimagined as a new port of entry for Disney’s Caribbean Beach Resort. It’s a centralized and convenient location for services, amenities and three new dining options. 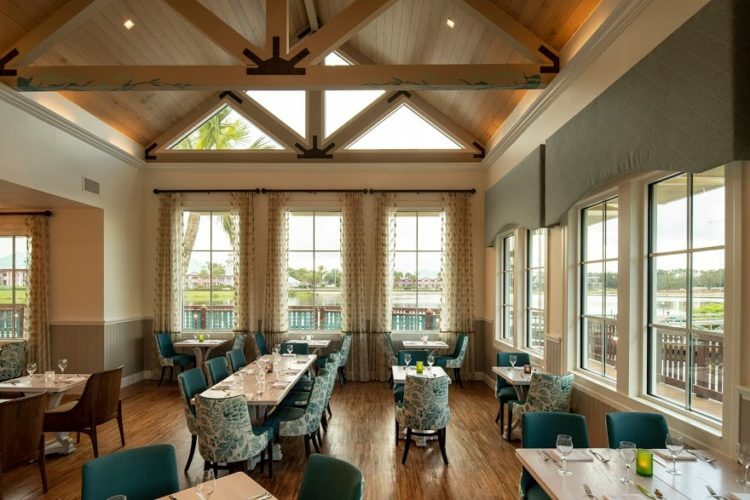 Guests arrive at Old Port Royale via an all-new porte-cochere, where they are welcomed into a colorfully reappointed lobby under an open-trussed roof and a colonnade with floor-to-ceiling drapes. Friendly cast members are waiting in this open and communal environment to help guests check in to their rooms, answer questions, offer advice to help them better enjoy their stays and more. Guests who choose to linger in the new lobby may rest in lounge-style seating areas with handmade furnishings. Or they may choose to stock up for their island adventures in the new Calypso Trading Post, offering favorite Disney merchandise and everything they need for their vacation. 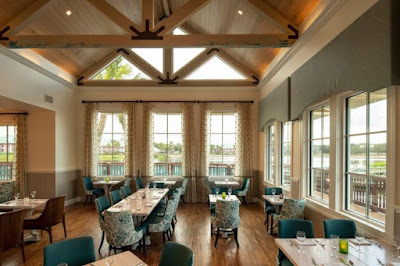 As Sebastian would say, “life is the bubbles” at his new Caribbean-inspired table-service restaurant featuring warm island hospitality and waterfront views. Guests will feel as though they’ve stepped into a tropical beachfront home, where every detail celebrates the natural beauty of the region – from coral patterns and kelp filigree to lure-inspired art and nautical designs. Sebastian’s Bistro also offers island-inspired cocktails with Caribbean rums, as well as a customizable rum flight. This fast-casual restaurant transports guests to an indoor island street market. Guests enter under a large, palapa-like structure modeled after a traditional Caribbean thatched roof. As they stroll beneath glowing colored light pendants, guests will discover a diverse menu of family-friendly fare. Centertown Market specializes in customizable Latin- and Caribbean-inspired dishes; with these made-to-order bowls, guests choose their base, protein and sauce, available for both breakfast and dinner. Centertown Market also features farm-to-table salads, Sicilian-style pizza and a variety of sandwiches and burgers. Those craving something sweet may indulge in an assortment of custom tarts and other delectable morsels. Children will be thrilled by Pirate Mickey waffles and French toast for breakfast, and chicken breast nuggets, tacos and grilled cheese for dinner. There’s also an egg popper – a hard-boiled egg pop with green pirate juice, roasted pineapple and bacon. The market’s expansive beverage island features Coca-Cola freestyle machines, freshly brewed coffee and a selection of teas. Draft beer and single-serve wine and cocktails are also available. And for those who are excited to get moving, a grab-and-go market offers specialty coffee and quick bites. It’s always “island time” at this festive pool-side bar that immerses guests in relaxed Caribbean living. Banana Cabana offers exclusive cocktails with premium spirits, including the Pink Guava Colada with rum, guava purée, pineapple juice and cream of coconut. Kraken Punch mixes black spiced rum with blood orange sour and pomegranate and orange juices. Caribbean beers are also available, along with a variety of craft and traditional beers, as well as premium white and red wines. Non-alcoholic specialty drinks feature fruit juices and tropical flavors, including the Tropical Paradise, which blends pineapple, coconut, cinnamon and lime, dusted with nutmeg. 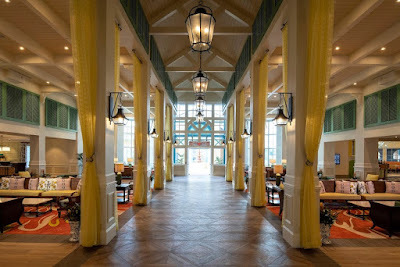 For more information about Disney’s Caribbean Beach Resort, visit DisneyWorld.com.